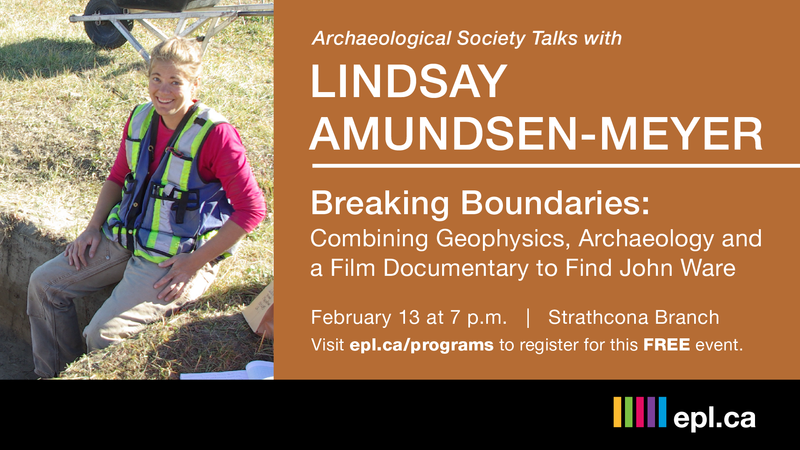 Archaeological Society Talks is a speaker series featuring cutting edge research presented by scholars, researchers and members from the Archaeological Society of Albertaopens a new window. 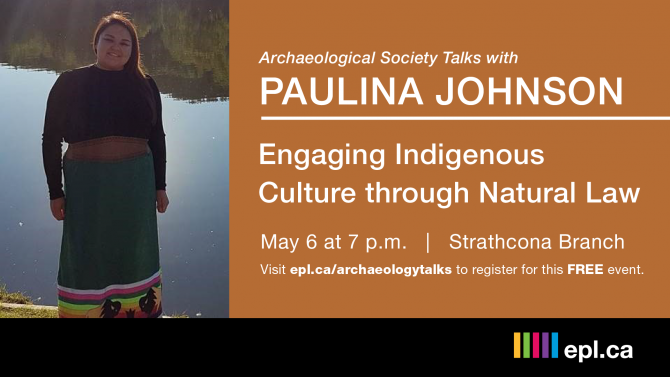 Monday, May 6, 2019 at 7 p.m.
Indigenous cultures have their own methodologies, ontologies, and epistemologies that are rooted in their views of the universe. Within Nêhiyawak culture, much of what is believed is connected to Manitou, the Creator, through natural law. Natural law is a universal force that is the continuation of Nêhiyaw being and beliefs. Understanding its role within our world allows us to reveal its spiritual connection to our entirety as Indigenous people and for a better insight into cultural views for non-Indigenous audiences. From knowledge of what is natural law to the protocols that are followed including acknowledging kinship ties, this presentation allows for Dr. Paulina Johnson, sîpihkokîsikowiskwew, of Samson Cree Nation in Maskwacîs, Alberta to share how she utilizes natural law within Indigenous engagement initiatives in her own research and practice. She highlights key beliefs regarding spiritual and ceremonial views that allows the audience a glimpse into actions towards reconciliation, indigenization, and decolonization. Registration is now open for this FREE event.